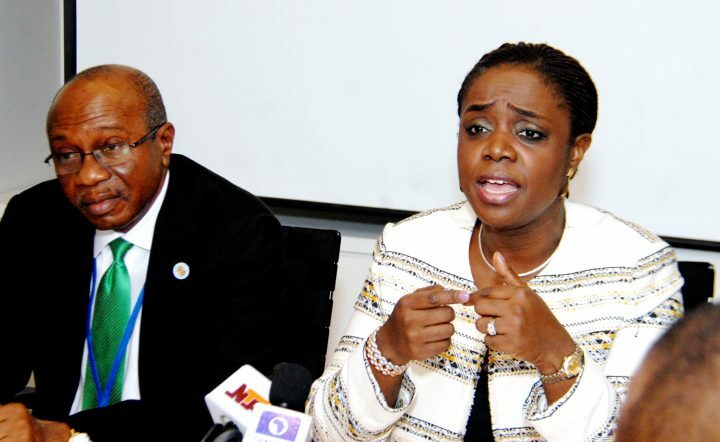 The Honourable Minister of Finance, Mrs. Kemi Adeosun, disclosed on Sunday that the Federal Government would not be reckless with foreign borrowings as it maintains an expansionary fiscal policy. The Minister also revealed that the International Monetary Fund (IMF) and the World Bank Group have projected a positive outlook of higher growth for the Sub-Saharan Africa and the global economy in 2018. Adeosun made this known in Washington D.C. at a Joint Media Briefing with the Governor of the Central Bank of Nigeria, Mr. Godwin Emefiele, at the end of the 2017 Annual Meetings of the International Monetary Fund and the World Bank Group. She stated that the Federal Government adopted an expansionary fiscal policy with an enlarged budget in order to deliver a fundamental structural change to the economy, thereby reducing the country’s exposure to crude oil. “Why are we borrowing? Mobilising revenue aggressively was not advisable, nor indeed possible, in a recessed economy. But as Nigeria now reverts to growth, our revenue strategy will be accelerated. “This is being complemented by a medium-term debt strategy that is focusing more on external borrowings to avoid crowding out the private sector. “This would also reduce the cost of debt servicing and shift the balance of our debt portfolio from short-term to longer-term instruments. This Government will be very prudent around debt. We won’t borrow irresponsibly,” said Adeosun, who led the Nigerian delegation to the 2017 Annual Meetings of the IMF and the World Bank. The Minister participated in both the International Monetary and Financial Committee (IMFC) and Development Committee (DC) meetings, the two highest decision-making organs of the Bretton-woods Institutions. She revealed that developments in the global economy since the Spring meetings were reviewed, noting that growth had picked up in 2017 even though not even. “Global growth is estimated to be 3.6 percent for Fiscal Year 2017, while Sub-Saharan Africa (SSA) is projected to grow at 2.6 percent and the outlook is for higher growth in Fiscal Year 2018. “However, downside risks remain in the medium-term with high policy uncertainty, geopolitical tensions. Inflation remains subdued,” she added. 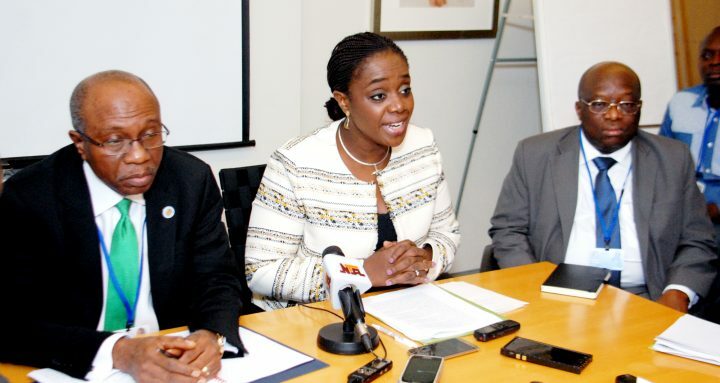 Providing further details on the IMF and World Bank meeting, Minister Adeosun said the overarching policy priorities for the entire membership was to boost potential output and improve income distribution while improving financial sector resilience. The two Bretton-wood institutions, according to her, urged commodity exporters like Nigeria, to pursue structural policy reforms to unlock the country’s potentials and stimulate aggregate supply as well as enhance the diversification process. On the Development Committee (DC) meeting, she said members discussed the need to enhance the capacity of the International Bank for Reconstruction and Development (IBRD) and International Finance Corporation (IFC) to meet their obligations of supporting the financing needs of client countries and to prevent a slowdown in lending. “At the DC where I spoke on behalf of Angola, Nigeria, and South Africa, I urged the international community particularly the Bretton-wood Institutions to change the narrative on Africa which always portray the continent as Low-Income Countries (LIC). “Indeed, there are some Middle-Income Countries represented by this constituency and so there is the need for the Bank to deploy instruments, policies, and programs that will address the peculiar needs of these countries,” she said. Responding on the issue of investing in women, Adeosun remarked that the women remained the best investment any nation could make. “The multiplier effect of such investment is significant. We need to make more opportunities available to our women. They are the economic drivers of our nation. We have enormous talents in Nigeria, and the Federal Government will invest in human capital,” she added. The CBN Governor, Mr. Godwin Emefiele, who also participated in the IMF and World Bank meetings, confirmed improvement in the Nigerian economy. “The fundamentals we are seeing show that there is a lot of stability in the foreign exchange market, and having come down from high level to the level we are now, and the currency is just fluctuating between N359/N365 to the dollar. “We think it is good level compared to where we are coming from. We think it is important to note that as reserves get stronger, as economic fundamentals get stronger, there is no doubt that the naira will get stronger and we will see more appreciation in the currency,” Emefiele said. He assured that the CBN would continue to focus on the banking system to ensure there were no significant threats that would affect the strategic health of the banking system. He further said that the CBN would continue to support the Federal Government’s efforts to reduce unemployment and create jobs.